News - Page 3 of 50 - Mulzer Crushed Stone, Inc. News - Page 3 of 50 - Mulzer Crushed Stone, Inc.
Jump start your exercise and nutrition goals by participating in this 4 week contest! Contest runs December 11 through January 7.  Eat at least 5 fruits and/or vegetables on those same 5 days (or more) each week.  Enter your data on the Wellness Website by January 23rd (log sheets accepted). *All employees and spouses are eligible to participate. 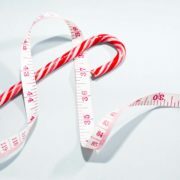 Make it your goal to Maintain – Not Gain weight over the holidays! Prizes will be drawn at Mulzer Crushed Stone, Inc. during the Annual Safety Meetings in March, and in February for Shamblin Stone, Inc.
8 – Health Premiums for 6 Pays! 1 – $75 Wal-Mart Gift Card, and 1 – Health Premium for 6 Pays! Don’t pass this up this chance to win prizes and maintain-not gain over the holidays! Mulzer Crushed Stone, Inc. has arranged discounts with some area fitness centers to help encourage memberships. 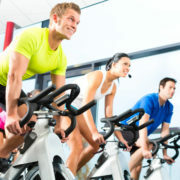 Please visit the Wellness section of our website for a list of participating fitness centers. 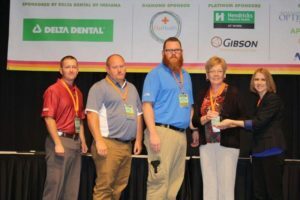 Mulzer Crushed Stone, Inc. received the Five Star AchieveWELL recognition from the Wellness Council of Indiana at the 2016 Indiana Health & Wellness Summit recently held in Indianapolis, Indiana. “Our Wellness Team worked very hard to earn this recognition,” commented Wellness Committee Chair Shari Everly. Everly and three employee members of the Wellness Team were in attendance to receive the award, Stewart Colin, Chad Lewis and Brandon Hundley. MCS Employees (from left to right) Stewart Colin, Chad Lewis, Brandon Hundley, and Shari Everly accept the AchieveWELL Award in Indianapolis. The Wellness Council of Indiana established the Five Star level of AchieveWELL to recognize elite organizations in Indiana that have made employee well-being a priority in the workplace. 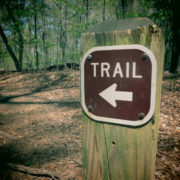 These organizations have experienced noteworthy growth in the evolution of their wellness initiative and embrace it as part of the business strategy. AchieveWELL is an award-winning, proven strategic process that provides a road map to the destination of a well workplace and recognizes excellence in the field of health promotion. The Mulzer Crushed Stone, Inc. Wellness 5k Walk/Run is scheduled for Saturday, October 1 at Ray Yellig Memorial Park in Santa Claus, Indiana. All employees and their families are invited to participate in the event, which begins at 7:45 am (CST). All race participants will receive an event t-shirt, and enjoy water, fruit and random prize drawings at the end of the event. Sign up by September 24. Brochures are available at each location.